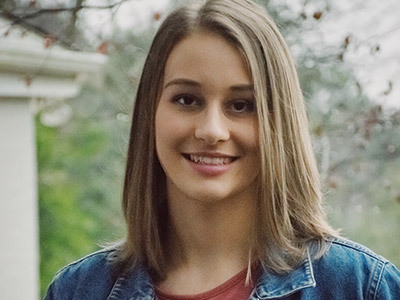 Lauren Chandler is a graduating senior at Christ the King Catholic High School, and will be at Berry College in the fall of 2019. She plans to major in Public Relations and minor in English. She is the founder and president of the pro-life club on campus at her high school, and is also a founding member of The Insiders at the Community Pregnancy Center of Lake Norman. The Insiders are a group of teens who are dedicated to educating and equipping their peers in hopes of navigating the heart of their generation toward a culture of life. They give multimedia presentations to youth groups in the Charlotte area to educate their peers on the sanctity of life, and have a blog at lifeontheinside.org where they offer honest and revealing insight on the issues that teens face.